NYC Style Truth or Dare? Fancy A Plant From Stockholm? Have a sun-kissed summer weekend! Scalloped Shorts: Thumbs up or down? Loves, what’s your favourite wine? Sweet or dry? Red, white or rose? P.S: Also, how to save leftover wine and a few gems for wine lovers. P.P.S: Plus how to avoid lipstick faux pas while drinking wine. (Photos by Zsofia Zsemberi for exPress-o. Tip via Stephanie Barlow - theKitchn. Big thanks to Zsofi for taking those great photos). Great! Thanks for sharing, I´ll sure give it a try! Well this is just brilliant! Thanks for sharing the tip! That is the best trick ever. I keep on drinking my wine with ice cubes and finally now I will be able to really enjoy it. Thanks Diana. Grace. Wow great idea!! I don't really drink wine unless I'm out, so I doubt I'll use it...but maybe I can pass the tip along to friends when they host parties! YES! So good! Love it. Best idea ever! What a cute way to serve wine too! Yay, Grace. 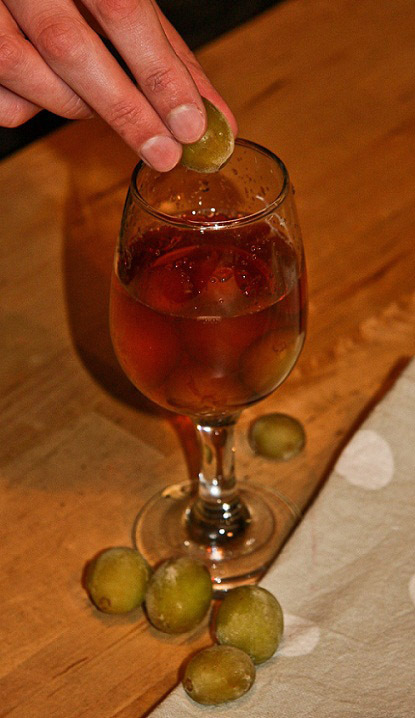 Oh yes, ice cubes really mess up the wine taste and those frozen grapes totally will do the trick. I am planning to have some wine with them again tonight. Kristi, totally! They are perfect for dinner parties or even picnics. this is a genius idea. I will be trying this out this weekend. That is a great idea!! My mom taught me to add frozen raspberries to iced tea to keep it cold (and add yummy flavor), so I am going to tell her about this trick, too! 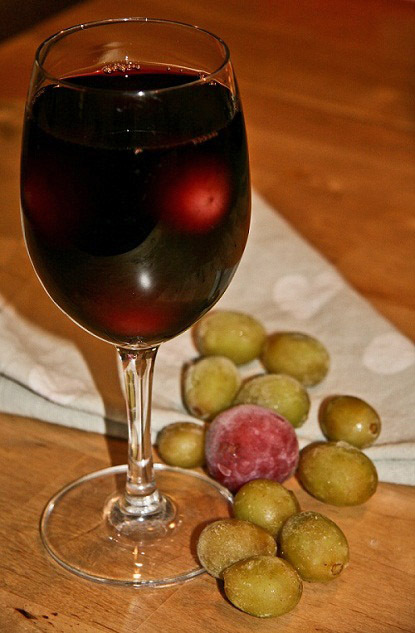 I['m not a wine drinking, but I looove frozen grapes just to snack on! That's so great!I love grapes!I'd like to try! Tiffany, oh yes. They are totally scrumptious and oh-so refreshing.